Arm9 on 100 cm2 uses only 2.5 Watts and is great fun! 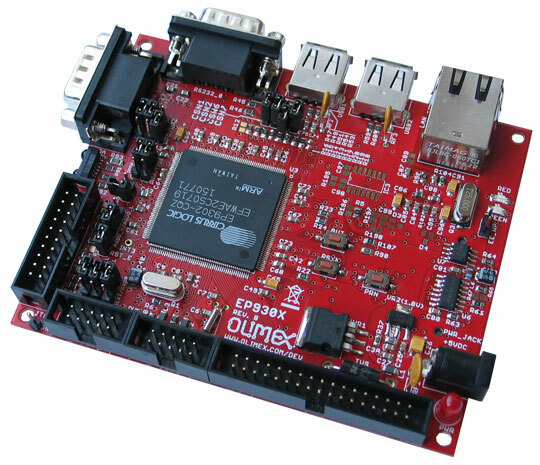 The Olimex CS-E9302 Arm9 development board is a very usefull board. You can run both Debian GNU/Linux and NetBSD on the board. The board only requires 2.5 Watts to run - including a SD memory card or an USB-pen. The CS-E9302 is build around an Arm9 processor. For embedded boards this is a very powerfull processor that can run normal versions of Linux (no ulibc but normal libc). The 200 MHz is good enough to run normal applications - remember, in the past we used to run desktop machines on 200 MHz. The board comes with a CD-ROM. On this CD-ROM is a ready to run Debian image as well as a NetBSD image. Putting one of these images on a USB memorypen or a SD-card is simple. After that the board can boot the image very easy. 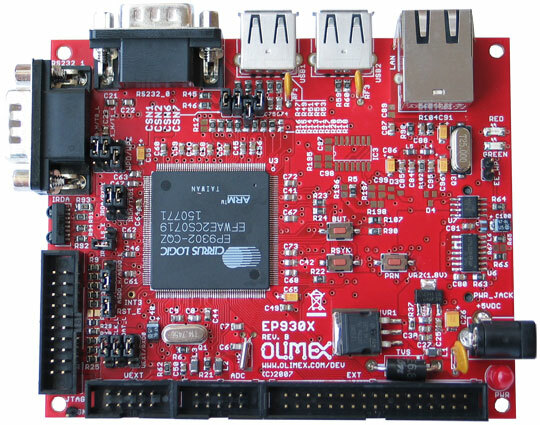 The board uses Redboot. To change the default boot command, use fconfig. Connect a serial cable to the board, start Minicom and boot the board. Interrupt the boot-process with Ctr-C.
Now type "fconfig" (without the quotes). You can now alter the default boot process by entering your own command.